Feicheng City Mental Hospital. This hospital accepted Xintai petitioners for treatment. Main points: In October this year, the local government of Xintai (新泰) in Shandong (山东) province forcibly placed farmer Sun Fa Wu (孙法武) in a state mental hospital en route to Beijing, only releasing him after a 20 day period, during which he signed an agreement not to expose the local government’s wrongdoings to the central government. The Beijing News’ investigations have revealed that this is not an isolated incident. A fraction of those who attempted whistle-blowing and their families say that although they have never been notified that they are mentally unstable, the local government has medical reports confirming that they are mentally ill. The asylum admitted that many “patients” are in fact whistle-blowers. The local government insisted that the populace is heading to the petition office in large numbers, and many are half-truths which could result in unfair disciplinary actions on the local government. 8.30 am, October 19, Tai’an bus station. 57-year-old Sun Fa Wu parked his car and looked around for his friend, but he was not there. A mini-van stopped in front of Sun and out came 3 men. They surrounded him. Sun recognized one of them as the head of the “Letters-and-visits Petition” (信访) office in Quangou town of Xintai City, An Shizhi. Sun attempted to call the police with his mobile phone but it was confiscated. He was then manhandled into the mini-van. Two hours later, Sun, a villager from Da Gou Qiao Village (大沟桥), was kept in a cell in a detention centre. The next day, at 11am, Sun was placed in the mini-van again, and from the van he could see that the van was traveling towards the city area, so Sun asked where the van was going. The van reached the destination, which read Xintai City Mental Hospital (previously Xintai Mental Asylum). Sun, who was illiterate, could only barely make out the meaning of the title. Two men grabbed him and moved him into the hospital, where a man in white lab coat was waiting. Mr. Sun pleaded with them, saying he is well and that he wants to go home. The hospital head replied that he can wait for his family to appeal to the local government. When interviewed, he says that just recalling that fateful day “makes his head nearly explode”. He shouted to the doctor that he was mentally sound, and he was just traveling to petition. Many of the patients heard his shout for help. Yet he was escorted through 3 metal doors into the hospital ward. The doctor called for help to restrain him. “I remember my limbs were tied to the legs of the hospital bed, and a jacket wrapped around my head.” The doctor next pinched his chin and forced pills down his throat. Tied to the bed, Mr. Sun continued to shout. Around 7pm, Dr. Zhu Feng Xin gave Mr. Sun an injection. Mr. Sun lost consciousness shortly afterwards. Mr. Sun regained consciousness and found that he had been untied. His legs felt soft, his head were “heavy as a hammer”, and he fell down his bed while attempting to go to the toilet. The next morning, Sun, looked around his ward. The windows were lined with steel bars. He remembered that he went through 3 metal doors. Sun felt he could never escape. It was impossible. In the afternoon, hospital head Dr. Wu Yu Zhu, while making his rounds, came to inspect Sun’s ward. Sun pleaded with him that he was mentally sound and that he wants to return home. Dr. Wu replied that the hospital will release him if there was a signature from the person who sent him here, so it would be necessary for his family to contact the local government. With his phone confiscated, how does he contact his family? Sun could not think of a solution. On the second day of his stay, a fellow mental “patient” Mr. Shi came to find him during the free activity period, where patients are allowed to mingle. Mr Shi had heard that he came because he was arrested for attempting to petition. Mr. Sun told Mr. Shi his journey to fight the injustice in his life. Sun was employed in the natural gas department from a mineral mining company called Xin Wen (新汶) and officially retired the year before. Due to extensive excavation and mining of gas underground, the land caved in resulting in damage to houses and farmland. 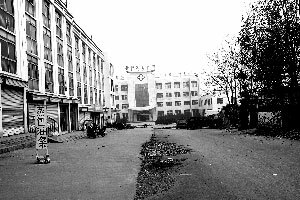 The company compensated the villagers from 1988. Mr Sun’s family was entitled to around RMB 40,000. But Sun and the villagers have claimed that over 300 families have never received the compensation. This was in direct contradiction to the village authorities’ claims that compensation had been received, who produced a document stamped with ink as proof. Sun insisted that the document was faked. In 2001, the village sent several representatives to petition their case. Sun was one of them. Indignant, Sun and the villagers appealed to the city authorities and applied for a reassessment of compensation in September 2004. 3 days later, over 10 hired thugs entered Sun’s house. Sun was not there, and his son Sun Gui Qiang was hacked, leaving him with serious injuries. The police has not cracked the case to this day. The older Sun continued on his journey of petitioning, running from the town authorities to the city authorities, and even to the central government, braving persecution along the way. In 2007 July 12, Sun attempted to go to the capital and was again brought back to Xintai town. Mr. Chen Jian Fa, the head officer of Quan Gou Petition Office at time, told Sun that he would be barred from sending petitions and that he was mentally ill. Sun claimed that he was told to sign an acknowledgment of that. “How could I be mentally ill?” Sun refused to sign. He was packed into a van and then brought to Fei Cheng Yi Yang Xiang Mental Institution. He was kept on a daily routine of medication and injections. Allergic to the medications, Sun started to have headaches and could not stand straight. Later, he was let out after a period of 3 months and 5 days. The head officer Chen had signed a document allowing for his release, after his family had complained and Sun promised to stop his petition. It had left in Sun a lasting impression of mental hospitals. Mr. Shi, whom Sun met in the hospital in 2008, had kept a secret record of petitioner “mental patients”. To date, he had records of 18 people. He collated those records, including the anecdotes of Sun, so that he can bring these injustices to light. 84-year old Mr. Shi, a retiree from Tian Bao Town, who had a long-running land dispute with a neighbor, wanted to reveal the corrupt acts of town authorities to the Beijing central government. In 2006 Jun 14, Tian Bao Town officials brought Mr. Shi from Beijing and placed him in Xintai Mental Hospital. A multitude of factors led to both the hospital and the Tian Bao Town officials asking Shi to leave the hospital. Still, Mr. Shi refused to be released. It was all done in secret as the hospital disallows “petition patients” from making contact to each other. A nurse threatened him with more pills when he was caught talking to a female petitioner. Shi keeps his diary under his mattress, and wrote the phone number for the Ministry of Supervision of People’s Republic of China) 中央纪委监察部 in his underwear. Shi told Sun that his previous attempts to call had been unsuccessful for unknown reasons. On the second day, Sun hid the medicine under his tongue and spit it out after the nurse left. She caught on soon and will check his tongue for medicine. Having no means to contact his family, Sun could only lie in wait. While Sun was trying to contact his family, his family was searching for him. On Oct 19, family members realized that Sun could not be contacted and his wife Mdm Zhang Xue Fang found his friend, Mr. Zhang Cheng Yong, from Gu Li Town. Mr. Zhang and Mr. Sun had agreed to meet in Tai An before heading to Beijing for petitions. Mr. Zhang said that he heard of news that Sun has been taken into custody. On Oct 22, Mdm Zhang found the local Peition Office head, An Shi Zhi. An told her that Sun was sent to a mental hospital. When Mdm Zhang asked for proof that Sun was mentally ill, An refused. When Mdm Zhang found Chen Jian Fa, now the mayor for the town, she asked him why Sun was sent to the mental hospital when they were already so many mentally ill people in the streets? Chen told her that those people did not petition. Only Sun did. On Oct 26, Mdm Zhang brought 5 relatives to Tai An Mental Hospital. She was allowed to visit Sun, across a metal door. At that time, Sun was having a free activity period. Sun borrowed her phone and called 110 to the local police, telling them his situation. The local police told him that he being kept in the mental hospital had nothing to do with his petitions. Mdm Zhang then told Sun that she will pursue the matter to Beijing and save him. On Oct 27, when Zhang visited Sun, Sun passed Mr. Shi’s secret diary to her, and told her to bring it to the attention of the Beijing central government, and receive justice. 3 days later, Sun learned that the newcomer was Li Ping Rong, and that her husband was hurt in a work-related accident. She attempted to petition but was sent here. Begging Sun to bring a letter out, Li wanted her children overseas to know of her plight and rescue her. Sun brought a empty cigarette box and a pen to Li during a free activity period. Li wrote her address and her relatives’ contact number and left the box somewhere in the hospital for Sun to pick up later. Mdm Zhang brought the cigarette box out on Nov 3. To date, her relatives could not be reached. During his stay in the mental hospital, Sun repeatedly requested a look at certification of his medical status, but was denied. According to Mr. Shi’s records, petitioning patients are similar in that their families do not know they are sent to hospital, and the patients have not seen their medical certification before. The reporter understands that this happens to the majority with the exception of Xu Xue Ling. 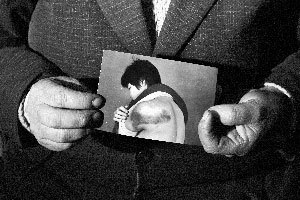 Xu Xueling holds in her hands a picture of her younger sister after being beaten. This May, she was locked into Feicheng Yi Yang Xiang Mental Hospital for a week for petitioning. 46 year-old Xu Xue Ling was an entrepreneur in Xintai Town, and her sister Xu Jia Ling was injured by a security guard at Quan Gou coal mine in 2006. Xu Xue Ling was displeased with the court ruling and decided to complain. On 14 May 2008, Xu was brought back from Beijing, and sent to a Fei Cheng Yi Yang Xiang Mental hospital for a week. After she was released, the local government handed her a “mental illness certification booklet” dated March 29. Xu denied knowing about the certification process. The booklet described Xu as “clear in thought and speech and do not exhibit hallucinations and related symptoms… however becomes very emotional when talking about sad events.” And diagnosed her with“hysterics” . The reporter has visited Quan Gou “Letters and Petitions” Office and saw Sun’s certification booklet on November 25. It read, “He is displeased with cracks in houses, and complained to state and central authorities …plainly hysterical for over 10 years…. His wife Zhang Xue Fang and son Sun Gui Qiang testified that Sun Fa Wu has been diagnosed with a mental disorder and said gibberish since an impact to the head in 1979…” “Conscious and aware of time and place…Occasional crying and tears strewn over face. Diagnosis: Hysteria” The certification was done in Shandong, dated March 2006. Zhang alleges that over the years, none of the villagers have ever thought that Sun was mentally ill. When told by the reporter of the certification booklet, Sun recalled a tussle with a policeman which led to him being withheld. He was released early and did not know why. His mental illness could be the reason. On November 11, while still in the mental hospital, Sun heard of his mother’s illness from his wife, Zhang. Zhang had begged Official An to release Sun so that he can visit his mother. Official An replied that this will require time as it is a high-profile case. Thus Zhang told Sun. Sun found the hospital head, who could do nothing after hearing of his situation. Local customs dictate that the eldest son must be at the wake, but Sun was not there. So Zhang, with her mourning clothes, prostrated in front of the local government office. Official An appeared an hour later and said that Zhang must agree to sign a document saying that her husband Sun is mentally ill.
An then brought Zhang to the hospital, demanding that Sun sign a document which says: I am mentally ill.
On Nov 12, at noon, Sun was released. Sun did not manage to meet her mother for the last time. November 26, Sun Fawu tearfully talks about his deceased mother in his home. On November 25, Xintai Mental Hospital head Wu Yu Zhu admitted that the hospital houses many patients who are petitioners. The hospital bills were paid for by the local government. Dr. Wu confirmed that Mr. Shi’s list of “petition patients” were correct. Dr. Wu further said that this phenomenon is common in Xintai. Dr. Wu added that many of the patients are obviously normal, but when officials and policemen brought real certification booklets to the hospital, the hospital has no choice but to accept the patients. “The hospital has its own share of troubles.” The hospital is not doing well financially, and many township governments have debts in paying some of the hospital bills. Petition office head Chen Jian Fa also expressed his regrets. He claims that whenever petitions were done to the central government, “superiors will find us”. He added that Sun is a master in petitions and can visit Beijing over 10 times a year. Whenever this happens, town officials have to visit the Beijing and the accommodations for the officials came out of town money. In august 8 this year, the town government gave Xu “special hardship financial grant” of RMB 40,000 and helped the mining company with RMB 160,000 of hospital bills and compensation to Xu. Chen admitted that given Xu’s situation, such a large payout may be unwarranted. When queried about Sun’s forced capture, An answered from a Xintai Police “advisory”, which states that “As Sun Fa Wu has been certified as mentally ill, he poses a degree of danger. Xintai government is advised to provide compulsory treatment to minimize the harm done to society.” However Chen alleges that the government is not given the power to send people to mental hospitals. According to rules from the National Petition Office, when conducting “traveling” complaints, there “should be notifications to the level who have the power to act on the incident, or one level higher.” However, there is no provision for people who petition to authorities several bureaucratic levels higher. Though illegal, there is no written penalty for this act. According to local media, Xintai has been hailed as “outstanding” in its petitions record. 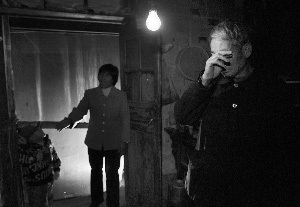 As China’s Mental Health Act, drafted in 1985, has not yet been passed, there is currently no law protecting the rights of the mentally unsound. China’s Civil Code (民法通则) states that relatives or intimates of a person who sent him/her to a mental hospital must obtain permission from the court before they can do so. 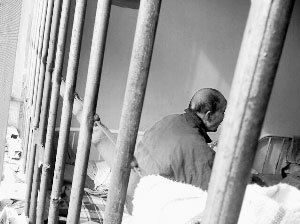 China’s Penal Code (刑法) states that family members and/or guardians are required to supervise mentally unsound patients, with the state providing compulsory care when the need arises. After reading I felt hurt. Officials, don’t break the people’s hearts. A sacrifice of the law! I am sad but not surprised, what can THEY not do? The local emperor’s power is greater than Hu Jin Tao, the people do not live in peace, this is sad for the Chinese people…. How are the officials who nab the petitioners doing? They should be getting their rewards now. If my grievance is not deep, I will not waste time and money and go for so-called petitions! Peace is not created by nabbing those petitioners. Town government’s illegal actions are left unchecked? Isn’t this a lawless society? Really frightening. Last year 8.17, this year mentally ill, what is happening? Where is the legal clause for arresting the petitioners? Where is the legal clause for keeping them in custody? Terrible and inhumane to this degree, it’s rare in the world! Our country is pure on top and rotten below. How much do you know about the people on top? Don’t speak so brashly! International Human rights Day is here! Human rights! I am especially angry. It’s so shameful that this happened in Shandong. Who is responsible for the masses complaining and heading to petition? Who should be going after those responsible? The root of the problem should be treated first. The central authorities should check and apprehend those who nabbed the petitioners. Though some of the petitioners are plainly making a ruckus, the majority have true grievances to redress. The top leaders in central government should really listen properly to the people’s voice! Peaceful society is created this way! Too bad, Hero Yang has left. Local government is afraid of jeopardizing their excellent records and have come out with this nice plan. I think people who leave comments must have mental illness? You must be a corrupt official. Should send the corrupt officials to the mental hospital. Is this happening in socialist China? Don’t steal even if you are poor to death, don’t complain even if you face grievance that kills. This kind of a****** officials, just shoot them! Is this still the Communist Party in power! If not why no action? If not what’s the difference from the old society? Common phenomenon with Chinese characteristics. Overriding authorities to the provincial level or central level is a saviour for farmers. If one cannot override authorities to complain what’s the use in complaining? When local authorities bully the people, how can the people still complain to these authorities? Isn’t that suicide? I myself am an example, how can I dare to fight with the local government? Now, the government, business and triad are a family; Power makes everything possible. Our country’s petition system is not well thought-out. It’s tough for minority to have their voices heard! Mass corruption brought about this. Bring justice back to the people! Xintai government so rubbish, they can’t solve problems and there will always be petitions. More reports on China Journal, Global Voices Online, Danwei, and Fool’s Mountain. A Singaporean Chinese student who believes that freely available and accurate information can lead to understanding, and also thinks that providing a channel for online commentary through forums and BBS is what the new media is all about. Canon is young, optimistic, and urges everyone to put forth their comments when reading chinaSMACK.